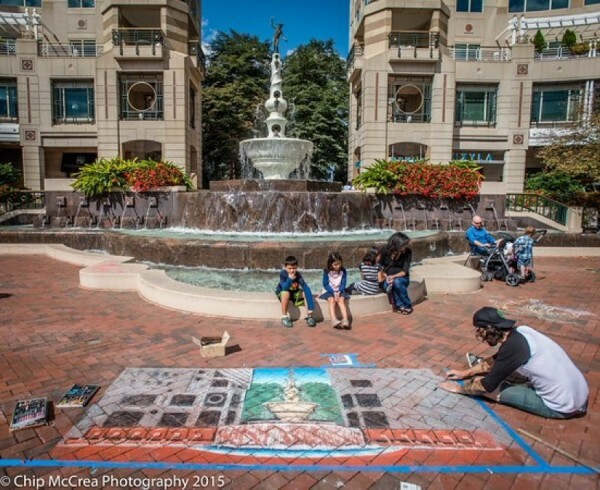 For the fourth year, Public Art Reston will present ChalkFest this weekend on Market Street in Reston Town Center. Professional artists and sponsor will kick the weekend off, getting their work started from noon to 11 p.m. Friday. On Saturday, from 8 a.m. to 4:30 p.m., the event will be open to everyone. Prizes will be given in several categories, and there will also be “Audience Choice Awards” given to the favorites of event visitors. Categories for participants will be amateur ($15 registration fee), families and kids ($15), and professional ($20). Registration can be done online through Friday, or at the event Saturday morning. For more information, email [email protected] or call 703-467-9797.